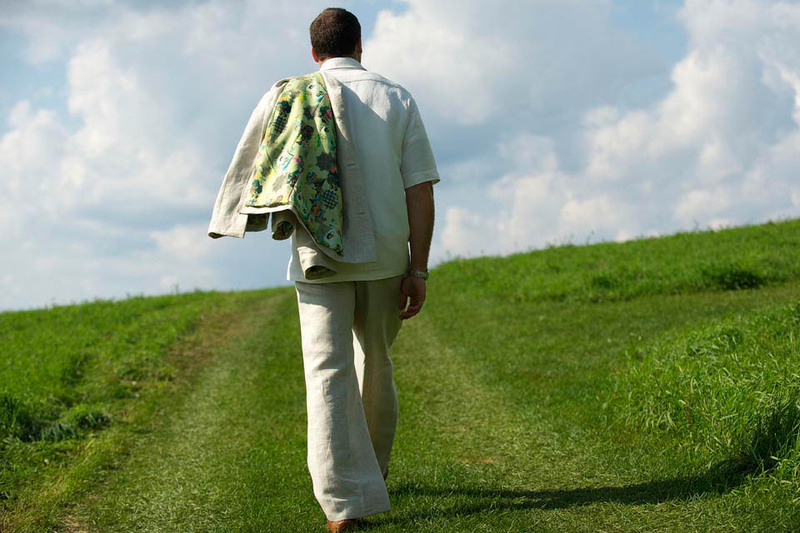 Choose a hemp suit style, fabric, color and lining that suits you! Choose the look for you! A made to order three piece hemp suit or something more casual like hemp pants, a vest and henley with rolled up sleeves. 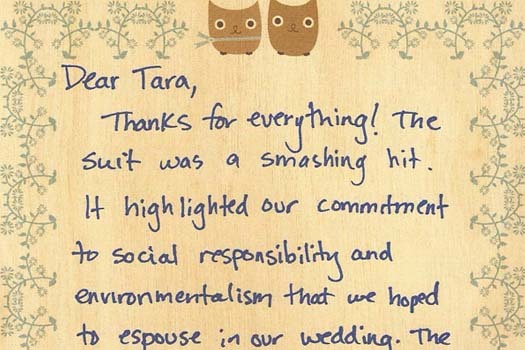 Tara Lynn offers custom tailored hemp suits, pants, vests, ties and bow ties too! 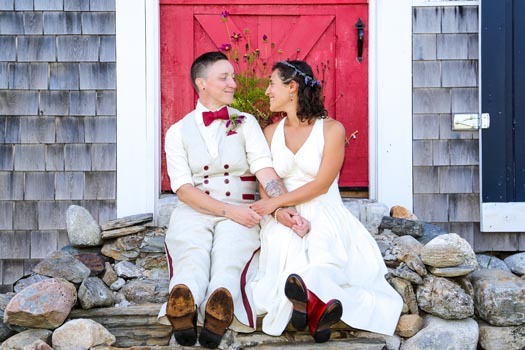 LGBTQ friendly so don’t be shy if your looking for a custom fit suit. Tara Lynn designed 3 hemp suit styles inspired by what customers were looking for. 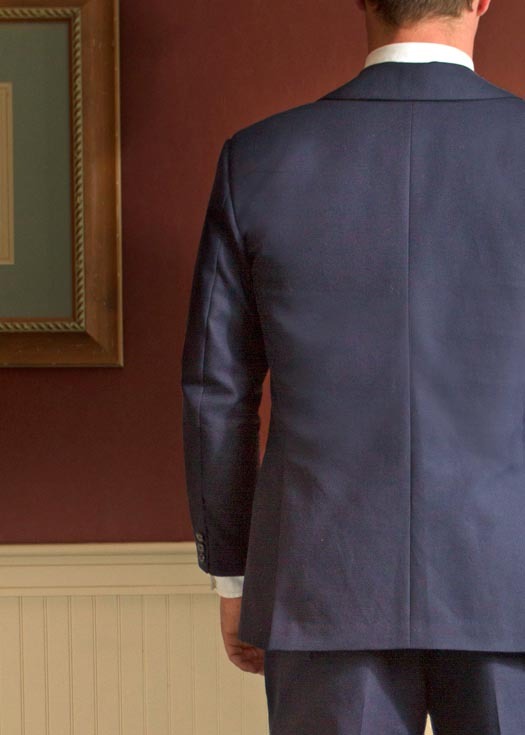 The Winokur Suit, featured in navy, is made of hemp and cotton. 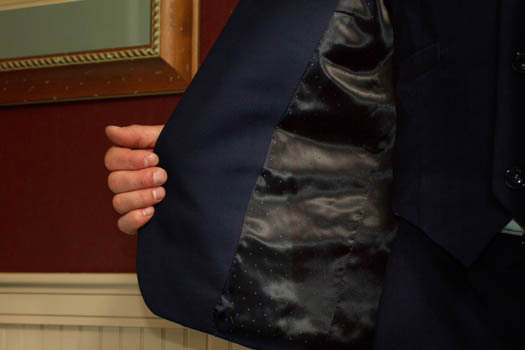 It is a British cut suit with two vents in the back of a slim fit jacket and slim leg. 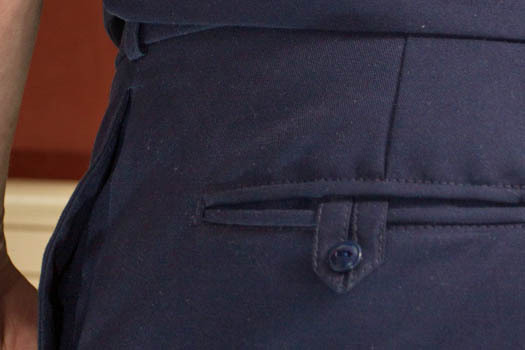 There are no pleats in the pants below the belt. 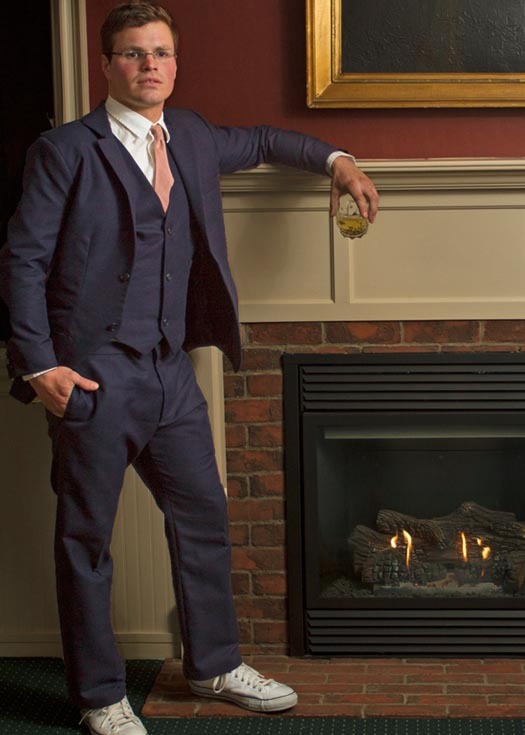 The Harrison Suit, featured in natural hemp and cotton tweed, is an American cut suit with a single vent in the center back and pleated pants below the belt. It is also available in a darker black/brown speckle. 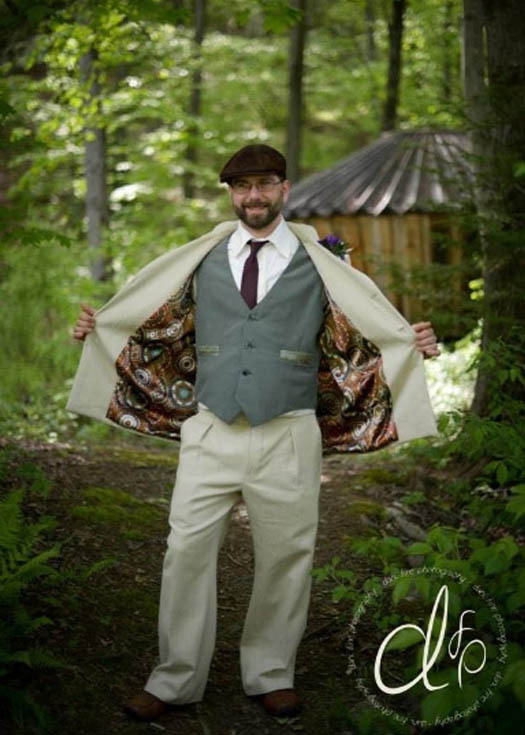 The groom is wearing a hemp and silk vest in forest green both lined in a vibrant retro paisley print. 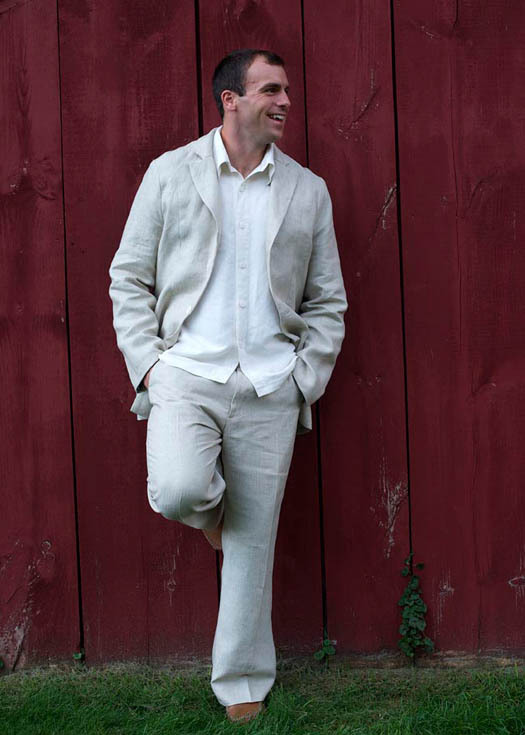 This hemp suit is available in other fabrics and colors. 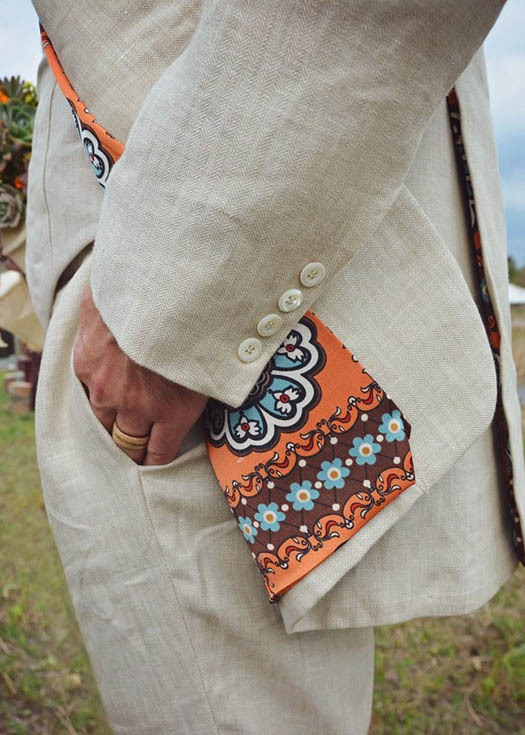 This customers suit was personalized with Celtic embroidered symbols in place of buttons on his jacket sleeves. The Orion Suit, featured in 100% hemp herringbone, is an Italian style cut with no back vent and a wide leg pant with out pleats. 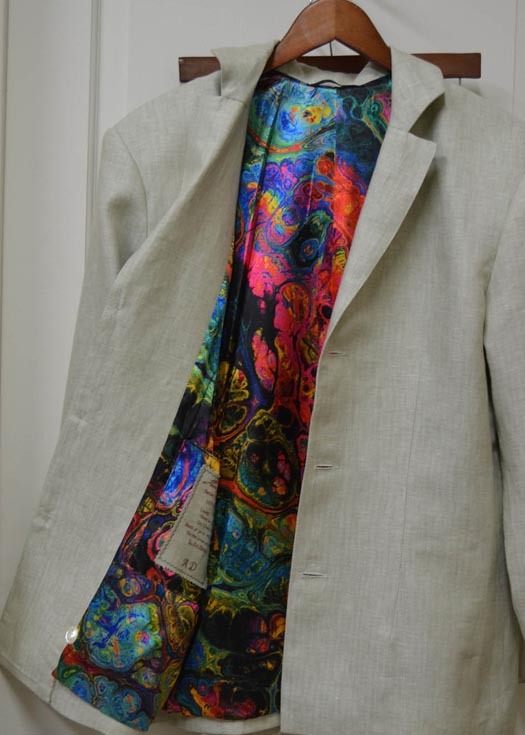 This suit is available in other hemp fabrics and colors. There are four shirts styles to choose from. The short sleeve button down, long sleeve button down, kaftan and henley. Not all styles are featured. Please contact Tara Lynn for additional photos and fabric swatches. 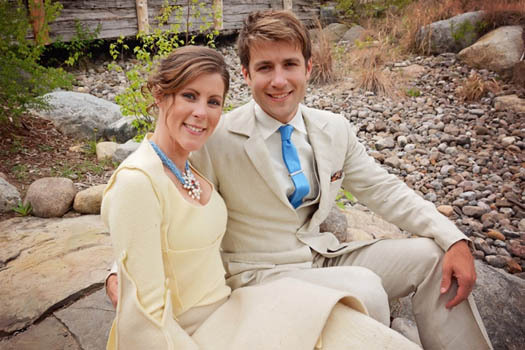 Contact Tara Lynn to make sure we can assure a timely delivery of your hemp suit. 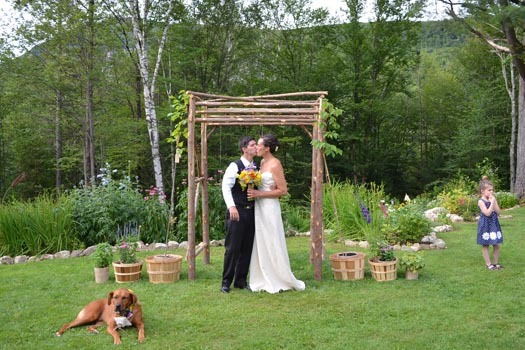 Call 802-467-9036. 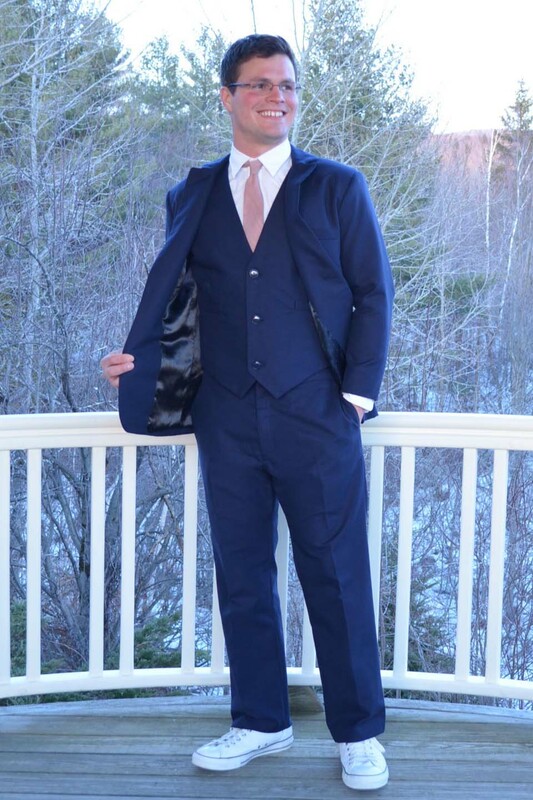 Order a custom designed suit or choose from our collection; The Orion, Harrison or Winokur Suit style. Select fabrics and colors of your choice. Tell Tara Lynn what you are looking for and she will mail you fabric swatches. You get to choose your lining fabric too! Tara Lynn will help you find a lining that fits your style and mood; polka dots, stripes, tie-dye prints, plaid, hot pink… you name it. 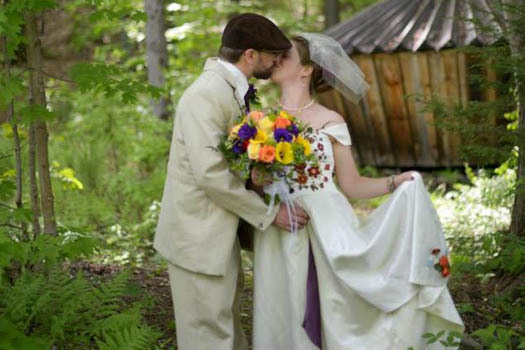 We ship to you or you can come to Tara Lynn and enjoy a little vacation in Vermont between fittings. Lots of clients do. 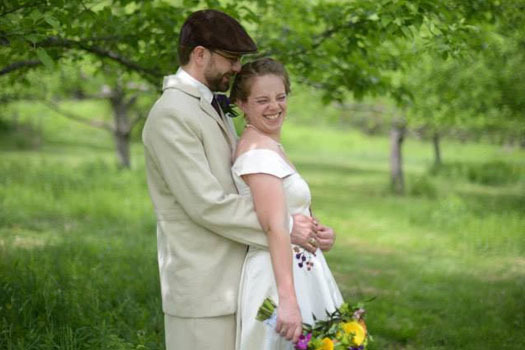 Once we approve your wedding date delivery Tara Lynn will request your measurements, photos, a signed contract and will send you payment information. 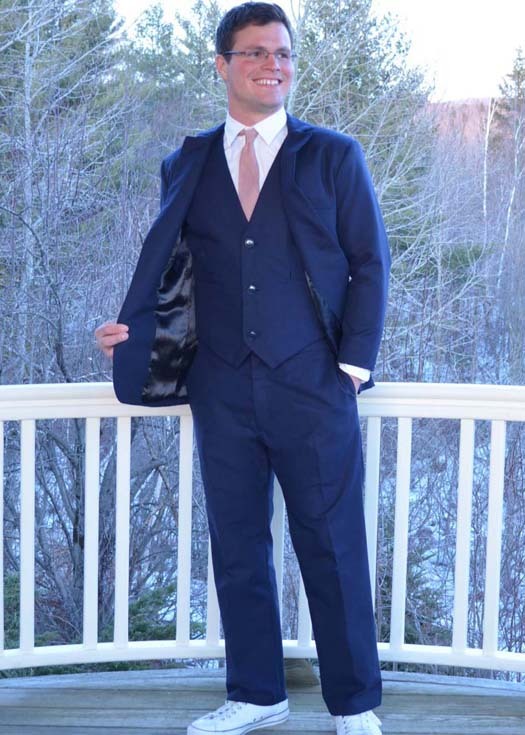 Prices for suits are listed on individual suit pages. 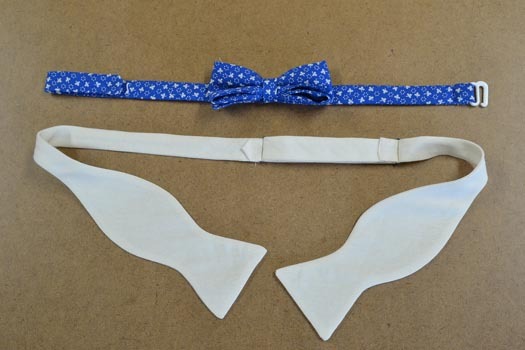 See Suit Titles below this gallery, click on a suit name and it will link you to a description with pricing. Would you like to work with Tara Lynn? 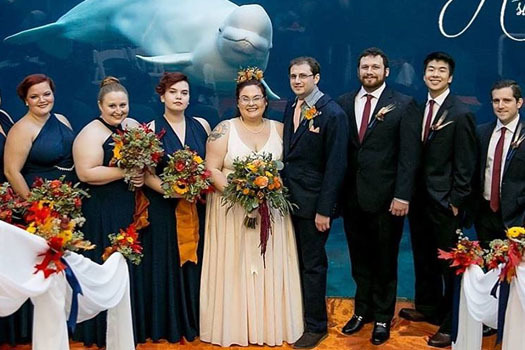 Contact Tara Lynn Bridal today for your unique wedding dress.